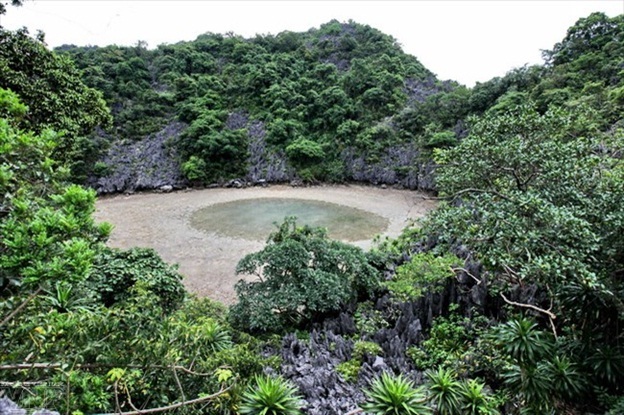 Located in Bai Tu Long Bay, Van Don District, Quang Ninh province, Ba Mun Island is the only schist island with primeval forests in Bai Tu Long Bay as well as Halong Bay. Ba Mun Island stretches over parallel to Quan Lan Island, separated by Doi gates run towards the northeast. 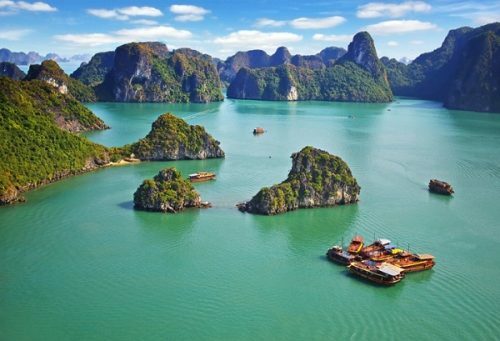 It has called by another name, Cao Lo Island. From Cai Rong wharf (Van Don), it takes only about 45 minutes on high-speed boat to Ba Mun Island. The first impression for visitors arriving at the Island is fresh and natural scenery with wild green forests embraced entirely by blue sea. 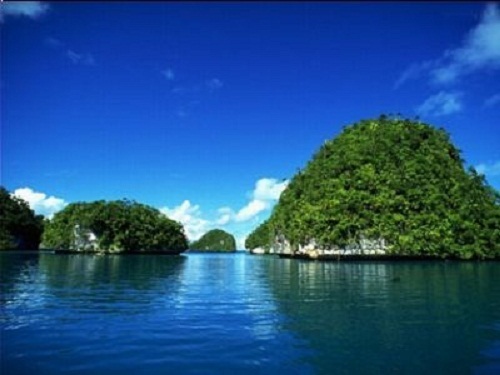 In addition, tourists can witness two completely opposite scene: the East of the island (known as the outer surface) with white foam and water wave tens of meters high, while the west (in the face) is the peaceful scenery and the water is calm. Visit Ba Mun Island with Indochina tours. Ba Mun Island is about 15 km from the shore, approximately 1,800ha in area with more than 20 km in length, narrow width. It consists of a narrow stretch of earth and stone that runs east to west. The highest mountain is called Mandarin mount (Quit mountain), with a height of 397 m. The flora and fauna on the island is very plentiful and there are many rare species. On the island there are numerous rare species of plants and trees with giant trunks such as Dinh timber, Lim timber, Sen Timber, Tau Timber. They are all trees standing there for many years, developing a huge circumference. Ba Mun Island is also home to many species of rare animals such as antelope, chamois, monkey and sea birds, migratory birds, etc. In order to help preserve the forest, Ba Mun forest has been recognized as Bai Tu Long National Park. 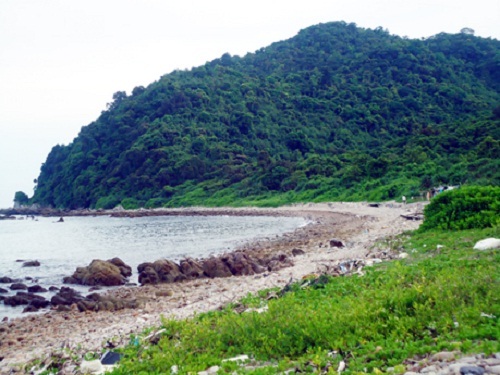 Travel to Ba Mun, visitors can explore the pristine beauty of the forest and the sea. It takes at least 3 days to complete a tour of Ba Mun Island and about 5 hours if you go around the island by boat. 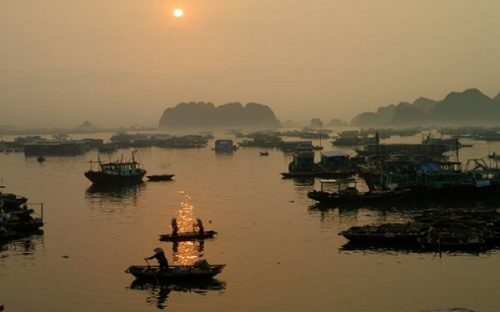 Tourists can book a day and a night cruise on a boat to explore the unique beauty of Ba Mun with Halong Bay tours Viet Nam, etc.